Biological control: an alternative for chemically well defended marine NIS? 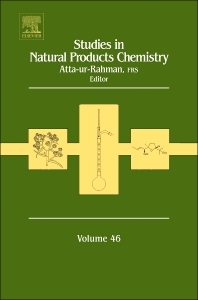 With articles written by leading authorities in their respective fields of research, Studies in Natural Products Chemistry, Volume 46 presents current frontiers and future guidelines for research based on important discoveries made in the field of bioactive natural products. It is a valuable resource for all those working in natural product and medicinal chemistry.